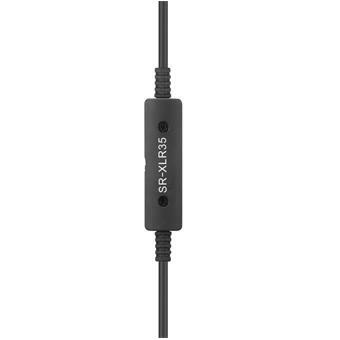 SR-XLR35 XLR Female to 1/8” (3.5mm) TRRS Microphone Cable Interface. 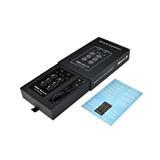 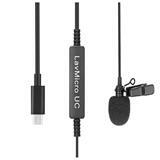 Works with audio recording apps, video shooting apps, teleconferencing apps and more. 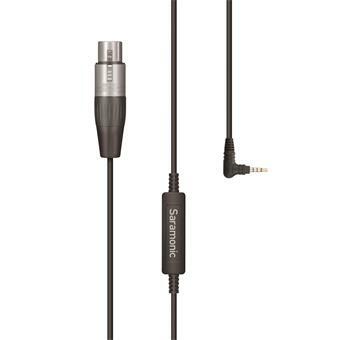 The Saramonic SR-XLR35 is a microphone cable with a standard female XLR connector on one end, and an 1/8“ (3.5mm) TRRS connector at the other end — which enables you to plug professional microphones directly into mobile devices (smartphones and tablets) as well as cameras (DSLRs, mirrorless, and video cameras). 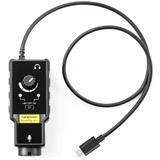 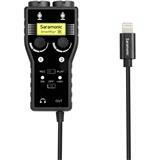 Using the SR-XLR35 is incredibly easy. 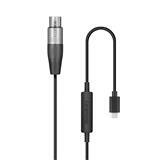 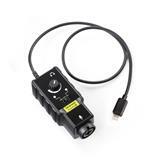 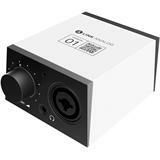 You just connect an XLR microphone, select either camera mode or mobile device mode, plug it in and start recording. 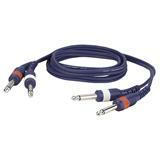 The SR-XLR35 is a remarkably affordable piece of equipment that can vastly improve the sound quality of your productions. It’s compatible with any camera that features a 1/8“ (3.5mm) microphone input, or any Android or Apple device that features a headphone jack. 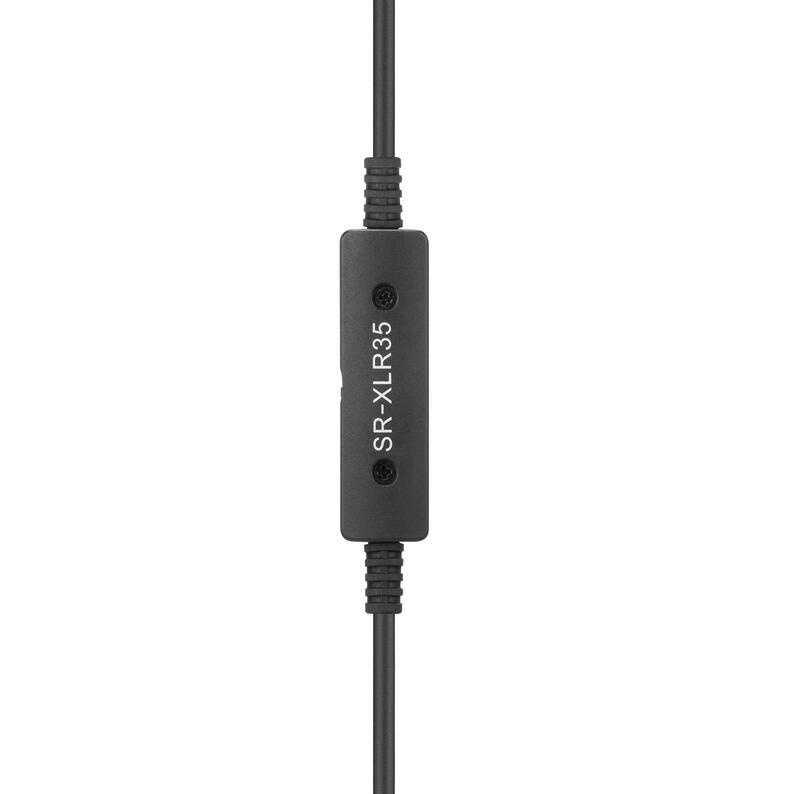 Whether you’re shooting with a powerful DSLR or the phone in your pocket, the SR-XLR35 will seriously improve your sound. 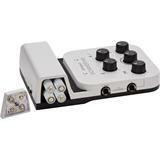 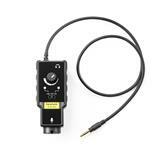 Any dynamic XLR microphone can be used with the SR-XLR35. 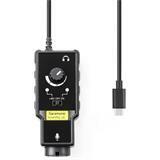 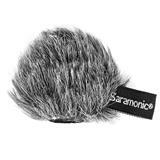 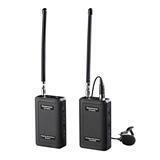 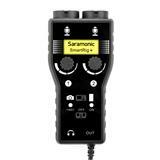 Battery-powered condenser microphones can be used as well, like the Saramonic SR-TM1 shotgun (sold separately). 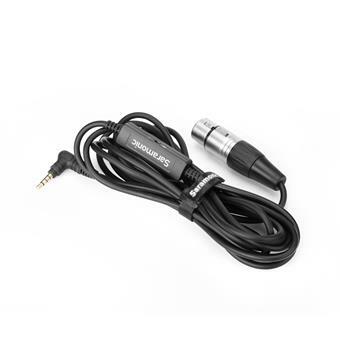 The female XLR connector on the SR-XLR35 features a locking mechanism that prevents the mic from accidentally getting unplugged, and its 19.5 foot (6m) cable gives you plenty of length to work with. 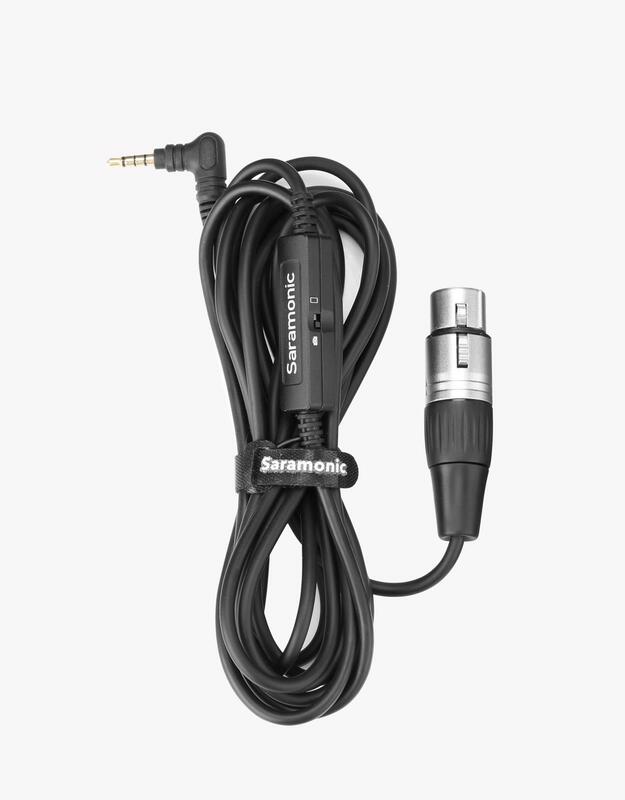 A handy hook-and-loop cable wrap is included to keep the SR-XLR35 tidy.